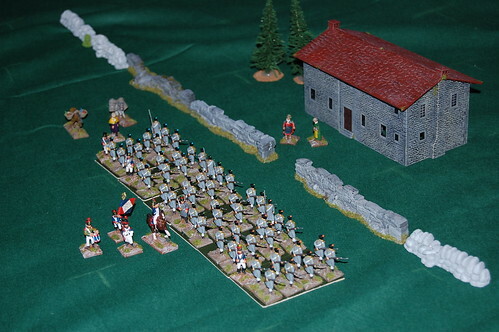 The 8ieme Ligne march through an occupied village, somewhere in Spain, sometime before the 15-3-1811. I am two and a half weeks away from my goal at present. It's been a long road and I'm desperately looking forward to going home. The exams are in full swing at present and are going relatively well, touch wood. I had a spare hour before I travelled back to the Puzzle Palace on Sunday, so I pulled out a few figures and took some shots. It was excellent entertainment, but did lead me to believe that I should I plan next time I intend to do so, either that or invest in some decent lamps so that I can get better depth of field. Above you'll see the 8ieme Ligne arrayed in column of route. 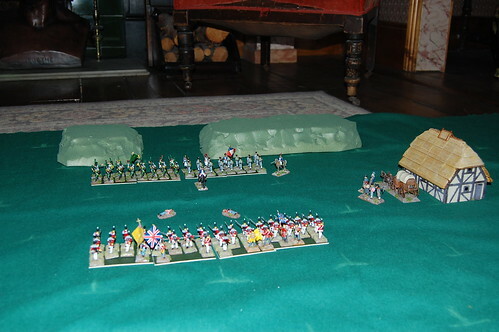 The battalion organisation is as per Charge!, though the figures are based pieces of card for Jim Wallman's diceless Napoleonic's game En Avant. I really rather like En Avant, which is a sort of diceless free Kriegspiel with miniatures, mainly because it gives me a lot of freedom as an umpire to improvise and adapt the situation to the players. Concerns like whether the senior regiment is on the right of the line become far more important to them when they don't have dice to worry about. Obviously, the 8ieme deployed in line takes up rather a lot of room, a foot and half in fact, which is rather larger than the six inch squares on my playmat. En Avant lends itself to being played on large tables, rather larger than I have at my disposal normally, so I'm thinking of breaking the larger battalions up into smaller units for more manageable games. Why the 8ieme, the 45ieme and the Legione Irlandaise? Well, when I started to collect named units, I found that I really enjoyed collecting the British units, I'm very fond of The King's Royal Halberdiers, the Fighting Fourth and the Royal Americans. I found it very hard to stir the same affection in my breast for their Gallic adversaries, Brigadier Gerard being the honourable exception. I considered trying to fill a historical orbat, but I reckoned I would never be able to remember the different names so I came up with another method. I like a little theatre in my wargaming - I enjoy funny accents, the aspect of roleplaying and the wearing of appropriate headgear. The French are the bad guys in my games, unashamedly so, I always want to see them beaten. It's only really when you reach the Second Empire that I start shouting for the home of Dumas and Rostand. With that in mind, I came up with a theme for my French battalions and which makes sure that each unit has a story that I can call to mind; I only field French battalions that lost their Eagles. Enough rambling, I have exams in the morning and must go to my bed. Jeff posted in the comments section that a tutorial in making foam hills might be of use. I'm not sure how informative this is likely to be, but it is a very simple procedure and allows you to bang out hills at a ferocious rate. 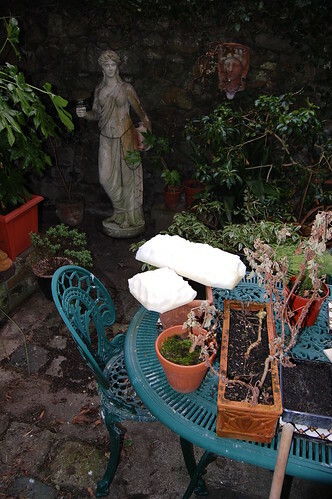 No sticky backed plastic is required, but it can be introduced at any point during the process without ill effects. Are we all sitting comfortably? Then lets begin. To start with, you will need. Some foam - I used 2 inch upholsterers foam which I bought for €6. I'd already hacked bits off it to make some other hills. A Sharpie or other marker to mark out the shape of your hill. A scissors - any sort will do. 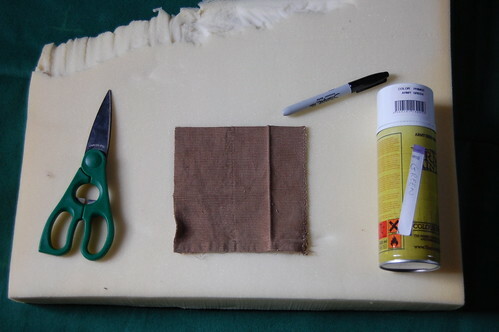 You can use a knife or a special tool to cut your foam, but I find a scissors offers more control and is just as good. 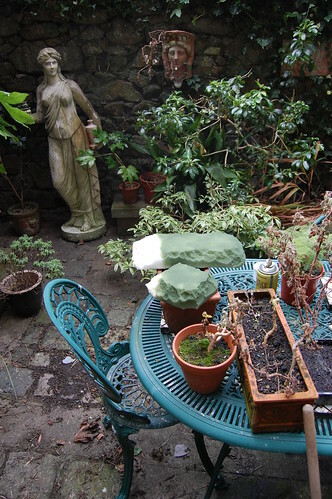 Spray paint - I used Army Painter Green undercoat as it was what I had to hand. This can cost me €12 in my local games shop. I much prefer paying the extra few shillings for GW/Army Builder products than using car body spray. GW/Army Builder products are a lot more pigment heavy and are a known quantity, while I can't always guarantee that I'll be able to get the same brand of car body spray. Tastes differ however. One thing that does irk me about Army Builder sprays is that they don't label the cans, which means that you can have problems if caps get swapped or mislaid. I always mark my cans with a sticky label to prevent embarrassing accidents. And lastly, a template. I wanted to make hills to fit my new mat and therefore used a piece of corduroy that I cut to represent a ploughed field as template. This is only really an issue if you want your hill to be a certain size or shape. I've marked out my foam using my template. My play mat is marked off in six inch squares, so I've decided to make two hills, one single square hill and one double square hill. There's no need to be punctilious about this really as you'll be hacking the foam about anyway. I've cut out the first hill using my scissors. As I did not have a grown up present to help me, several innocent bystanders were horribly maimed during the process. A wargamers life is one of constant interruptions and distractions from the task at hand. I somehow managed to soldier on. I cut out the second hill. Due to my improved scissor handling skills, only one member of the public was slightly maimed in the making of this hill. 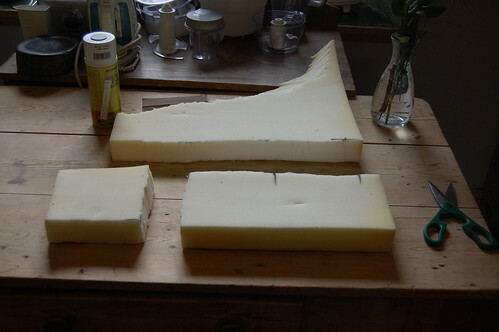 Shaping the foam. This is pretty simple. 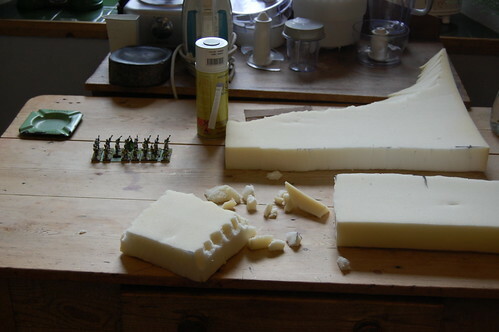 I want to keep as much of a flat surface as possible for figures to sit on, while making a slope. 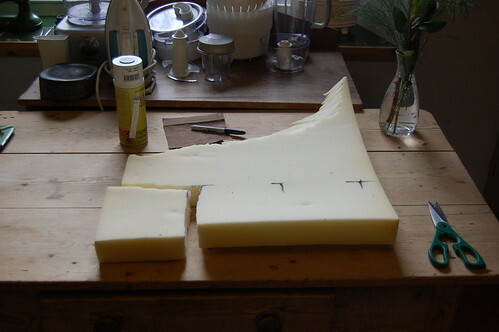 Simply cut along the edge of the foam with your scissors or if the Sun is over the yardarm and you're already on your third gin and tonic, you can use your fingers and tear bits off. I usually tear bits off and then neaten things up with the scissors afterwards. Keen eyed readers will notice some French sneaking on to the field. 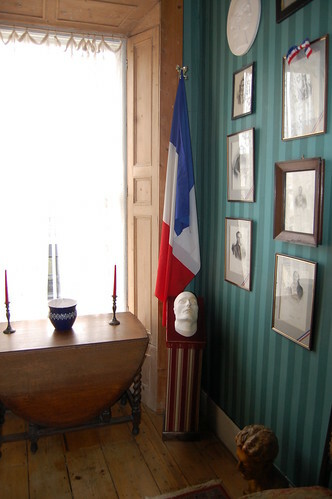 However on closer inspection it appears that they are not Frenchmen at all, but the green clad lackeys of Bonaparte's Legion Irelandaise - vile canting dogs of Mayo men to a man (boo! hiss!). 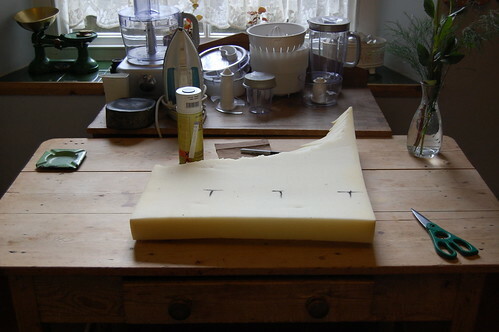 After doing the basic shape of the slope with fingers, I've started shaping the right hand side with scissors. I wanted to keep as much of a flat surface as possible, so the slope is rather steeper than I would like. I think next time I'll get thinner one inch foam. Another interruption - one of Mrs. Kinch's odder relatives calls to check if Mrs. Kinch Snr has a print of Prime Minister Thiers. I scurry upstairs to confirm it, pausing only to snap a picture of the death mask of the Corsican Ogre on the way down. With both hills shaped, I march outside while it's still light to spray them. Jeff was concerned that the propellant in the paint would dissolve the foam. I can't speak for car body spray, but GW and Army Builder sprays certainly don't do anything untoward, except to the pocket book. Start spraying - hold one end of the hill and spray at a distance of about twelve inches. You will not get an even coat and the result is a mottled effect that I think looks rather well. The hills are near completion; let the paint dry (this typically takes about five minutes) and finish off the unpainted part. This is by sheer coincidence the amount of time it takes to mix a gin and tonic. The Connaught Rangers and the King's Royal Halberdiers confront the Legione Irlandaise and the 8ieme Ligne somewhere in Chez Kinch. Note the very fetching hills in the background. 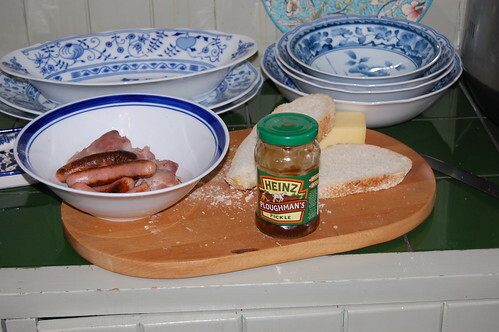 Two serviceable hills in forty minutes including interruptions to fortify the inner man with bacon and cheese sandwiches, answer the telephone and mix a gin and tonic. Neither feature is ever likely to win any wargaming beauty pageants, but they are cheap, quick, practical and easy to store. 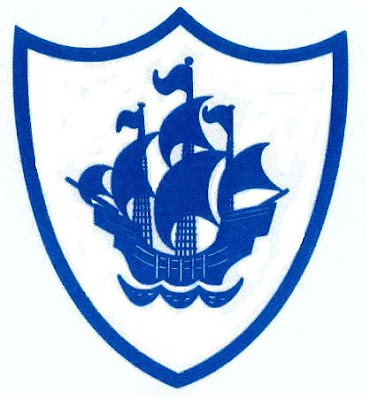 If you'd like the Blue Peter fact sheet that accompanies this tutorial, please leave your name, address and credit card details in the comments box below. 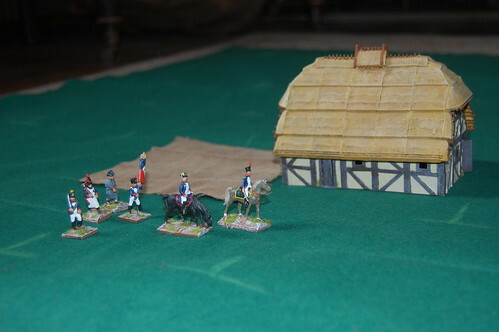 A French Colour Party ambles past a farm house on my new play mat. I'm looking forward to playing the forth coming Command & Colours: Napoleonics by Richard Borg. 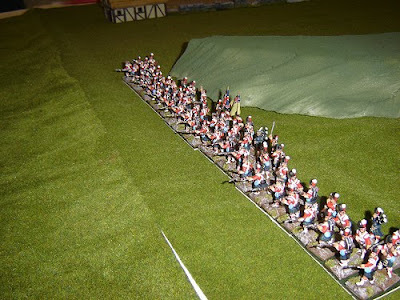 Donogh has a large collection of 6mm Napoleonics and we'll certainly get great mileage out of them. 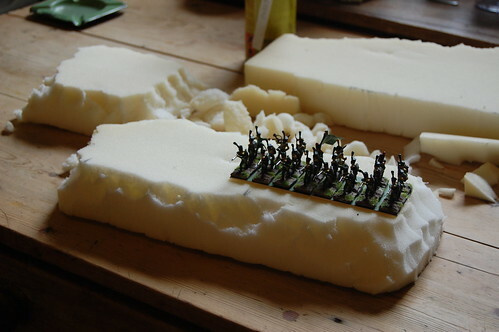 However, I've really taken to 20mm as a scale, cheap enough to allow me to field large units while big enough to give a sense of playing with toy soldiers. I've also been playing Worthington Games Honour and Glory, which is a War of 1812 version of their Clash for a Continent game. It's Horse and Musket on a 13 by 9 hex board and has a lot in common with the Command & Colours franchise, though it is not in my opinion as good. I've adapted it to suit my own tastes and we've played a few table top teasers with it, but it's a stop gap until C&C Napoleonics arrives. The problem is however, how to play both these games using my very pretty miniatures. With 6mm or 2mm figures, there was no issue; they fit rather well on the board that came with the game. 20mm figures require rather more elbow room if they are to be deployed in the sort of numbers that I like to see. Hence the new game mat. Milton looks on, while I put the finishing touches to my new playmat. 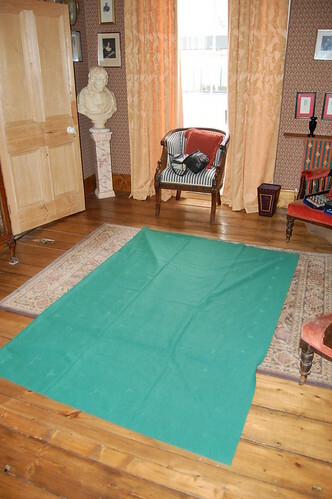 I picked a green felt on a whim, as I thought it would be the most versatile option, though I may invest in another mat for campaigning in the Mediterranean. A flat green seemed a safe bet for a test of concept. Just over two yards of material came to twenty two euro at my local fabric shop. I agonised over how to draw hexes, when Mrs. Kinch, ever the practical one, pointed out that offset squares would do just as well. There may be issues with determining lines of sight, but after nearly six years of playing Memoir '44, I think we've encountered every situation you can encounter and if we come across a new one, we will come to some sort of arrangement. Six inch squares were the largest I could could get away with, so I set to with ruler and pastels to mark in the square in a light green. Rather than mark out each square in its entirety, I indicated the corners of each, which I think is enough. These are clear for the purposes of play without being overwhelming. Eastern Approaches is autobiography of the best sort. A tale of high adventure that begins in Paris in the Thirties and ends in Yugoslavia at the end of the Second World War it is broken into three sections. The first begins in Paris, where Foreign Office man about town, Fitzroy MacLean tires of the diplomatic round and request a posting the Soviet Union. He arrives in Moscow to see the Stalin's society before and during the great purges. Not satisfied with a ringside seat at a witch hunt, he spends his holidays travelling in the near East, dodging NKVD minders and Intourist officials to see Samarkhand and Kabul. The second section concerns his time in the Western Desert with the SAS. Their operations end in a mixture of farce and failure, but are redeemed in the last chapter by the piratical kidnapping of a Persian general. The last and longest section is about MacLean's time in Yugoslavia. 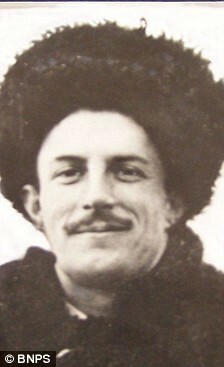 MacLean was chosen to head a fact finding mission to Yugoslavia as there were two resistance movements, the Chetniks and the Partisans. The British were already committed to the Chetniks, but there were concerns that they were spending more time fighting the Partisans than the Germans. MacLean's job was to find out who was killing the most Germans and throw British support behind them. This section is a fascinating melange of high level politics, boys own adventure and brutal endurance. The portraits of Churchill and Tito are particularly interesting, adding a human dimension to the grand strategy. 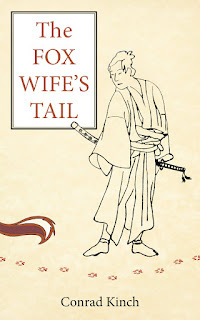 More honourable than Flashman, more human than Bond and funnier than Hannay, MacLean is well worth a read for those who like their escapism to combine all the virtues of fiction and fact. There's been very little going on here at Chez Kinch other than course work and study, though the end is very much in sight. Above you can see some of the fruits of last years painting, these are Crimean Highlanders from Strelets range. I liked them so much that I decided to use them in my Napoleonic army and the anti-bread faction could go hang. Painted by the stalwart Mark Bevis, these gallant Highlanders received a charge of French cuirassiers in line, a thin red streak tipped with steel if you will. Sadly, their stand did not go as well as their counterparts in Robert Gibbs famous paintings and they were ridden down like dogs after being wracked with shot and shell. 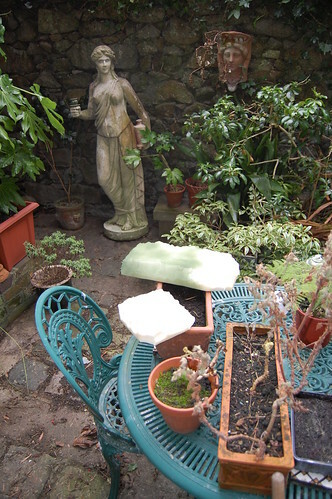 The hill behind our Scottish friends is made of two inch upholsterers foam, cut with a kitchen knife and sprayed green. I used Army Painter Green Primer. The whole construction took about half an hour to make three hills from start to finish. They're light, durable and don't need looking after. A picture tutorial might be forthcoming, though to be honest the process is about as taxing as a three piece jigsaw puzzle. and I am considering running a larger version, with more players and smaller forces when this one is finished. The idea being that smaller forces mean that players have fewer things to worry about while more players allows you to create a chain of command, which offers greater opportunities for roleplaying. ...that said, given that shift work will be my lot for the forseeable future, a game that doesn't require all the players to be on the same schedule, while still scratching that wargaming itch might be no bad thing.